I've been clearing up the gigantic mess in my craft room (and some other parts of the house too...). I can finally see the top of the craft island again so I might be able to do that long-promised craft room tour before summer! I came across these Easter Egg cards from a couple of years ago and I thought I'd share them again. 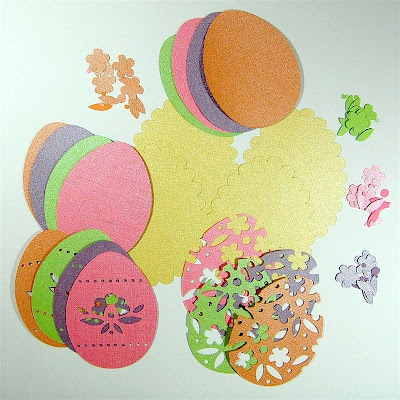 They look so pretty when you use the Core'dinations Gemstone cardstock (the combination of the texture and the pearly shine are perfect!). Once you get started, you can easily make a lot of cards in a hurry. There are two posts about these cards and the file is in the second post. There are also a couple of videos to explain the design process. I made this card with Design Studio but the process is easily transferred to the Gypsy or Craft Room. I used the Easter 2010 cartridge. There are some newer cartridges with similar shapes if you don't have that cartridge. It is also available as a digital cartridge on Cricut.com. You can find the first post HERE and the second post HERE. There is a video in each post. 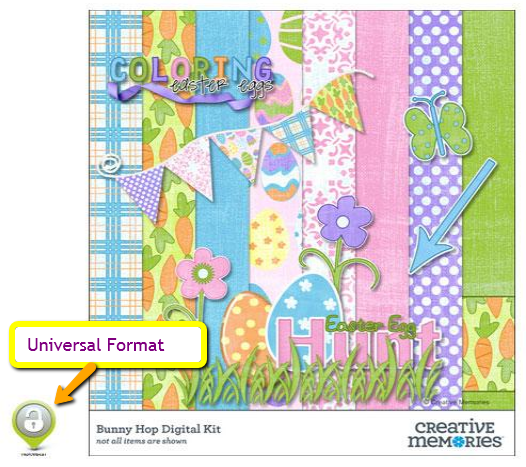 Last month I told you that Creative Memories would soon be offering digital artwork in a Universal Format (jpegs and pngs) and, as of yesterday, there are lots of digital items available that you can use in almost any digital scrapbooking software. You can see what's new HERE. This universal format will allow people with Mac computers to use Creative Memories artwork. The sbcStudio program (for Mac) has been discontinued. If you are interested in the Memory Manager (photo editing and organization) or StoryBook Creator (digital scrapbooking) programs there is a great sale going on for April. The prices have been reduced 35% so Memory Manager is only $25.97 and Storybook Creator is only $42.22 If you have an earlier version of the program, the upgrades are also on sale. I use them both and highly recommend them. If you have questions about these programs and don't have a regular consultant, I'd be happy to help you. The creative possibilities with the Storybook program are fantastic and it is very user friendly. There are also lots of great tutorials available on the CM site. I have been enjoying the combination of using the StoryBook program with the Silhouette Studio software to make cutting files with some of the digital elements. Have a wonderful crafty Monday! 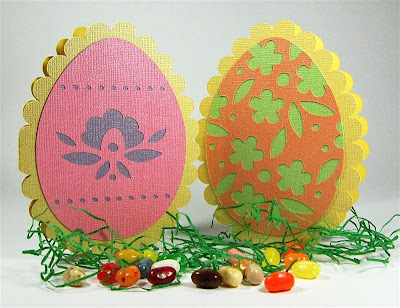 Beautiful Easter Egg cards! Love 'em. TFS!--Pat N.
I am so interested in the scrapbook softwares! I am forever trying to get a handle on thousands of digital pics that eventually get forgotten in the computer. Will PM you.